Sonny Gray looked like the difference-maker that the Yankees have been waiting for and Aaron Judge broke a scoreless tie with a two-run homer in the 13th inning, helping to lift New York to a 3-0 victory over the Blue Jays on Wednesday evening at Rogers Centre. 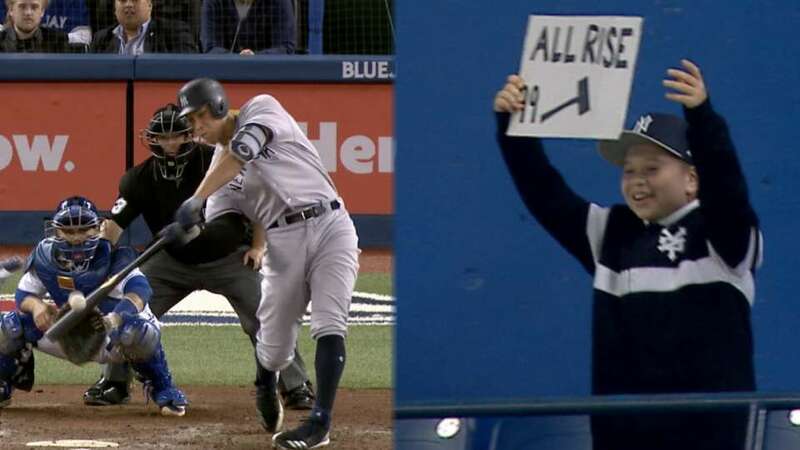 Judge pounced on a curveball from Joe Biagini, reaching the seats in left-center and snapping a 15-at-bat hitless skid for his 17th homer of the season. Giancarlo Stanton added a laser homer two batters later, powering the Bombers’ ninth victory in 12 games. David Robertson picked up the victory in relief, having fired a scoreless 12th, and Aroldis Chapman recorded the final three outs for his 15th save.